Today, it’s impossible to deny how influential Supreme has become. 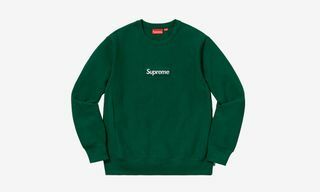 From its knockout collaborations to record-breaking sell-out times, the brand continues to be one of the most sought streetwear brands around. 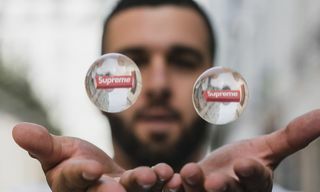 Having battled criticism (and a lawsuit) for its famous red and white box logo, the iconic design is now known to fetch upwards of $1,000 on the resale market. As far as streetwear grails go, the box logo (or BOGO) hoodie could be considered the ultimate cop. Highsnobiety has gathered a few of its resources to deliver a short summary of the box logo’s history. 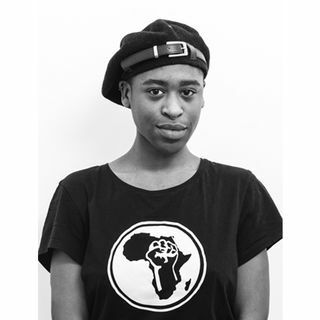 Starting with founder James Jebbia in 1994, we’ve charted the rise and continued growth of the brand, expanding from its Lafayette store in New York to becoming one of the staples in street fashion diets. If you’re interested in learning more, check out the video above. 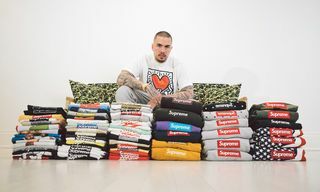 When you’re finished, find out why Supreme aficionado Ross Wilson is selling his massive Supreme archive.